Oxygen-ozone therapy is a mild technique that exploits the potentials of ozone, combined with oxygen, to stimulate and increase the protection mechanisms against the production of free radicals, with consequent reduction of substances that are toxic for the cells. It activates blood flow to all the tissues, helping release oxygen to the tissues, stimulating their regeneration with multiple effects: analgesic, anti-inflammatory, anti-bacterial, anti-fungal, immunomodulatory. 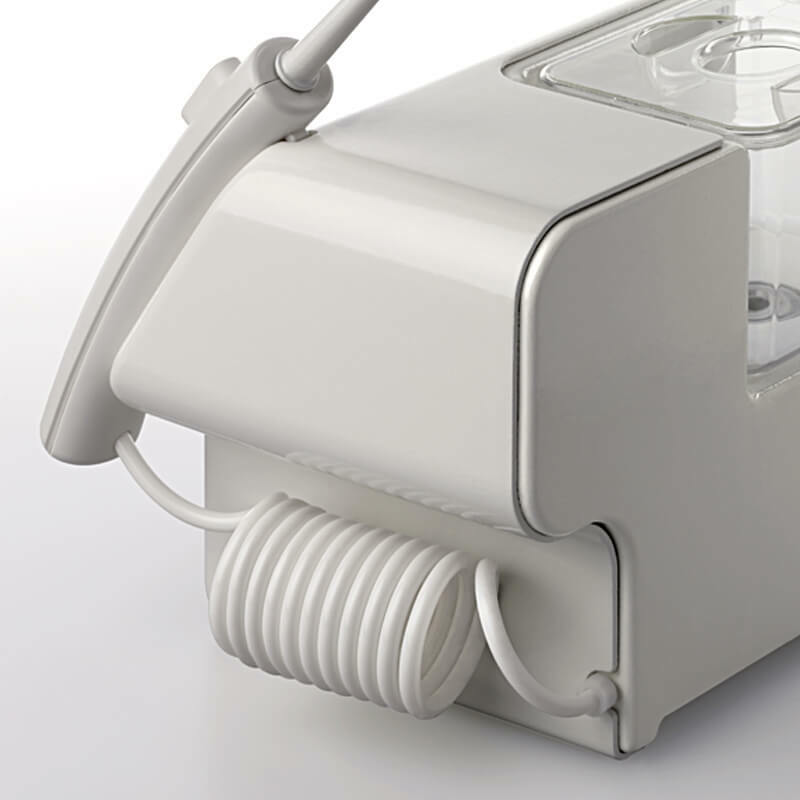 Ozone, properly diluted with water in the Aquolab water jet, is an effective assistant in the work of the dental practitioner and dental hygienist. Ozone-therapy has long been used in dentistry, to treat the decayed tooth surface; in fact, ozone-therapy allows the regression of dental caries as it stops the proliferation of bacteria, besides progressively eliminating the pre-existing condition. It is also used in endodontics (root canal therapy) and dental implantology, dramatically reducing any risks associated with these operations, disinfecting the surfaces, also surgically treated. 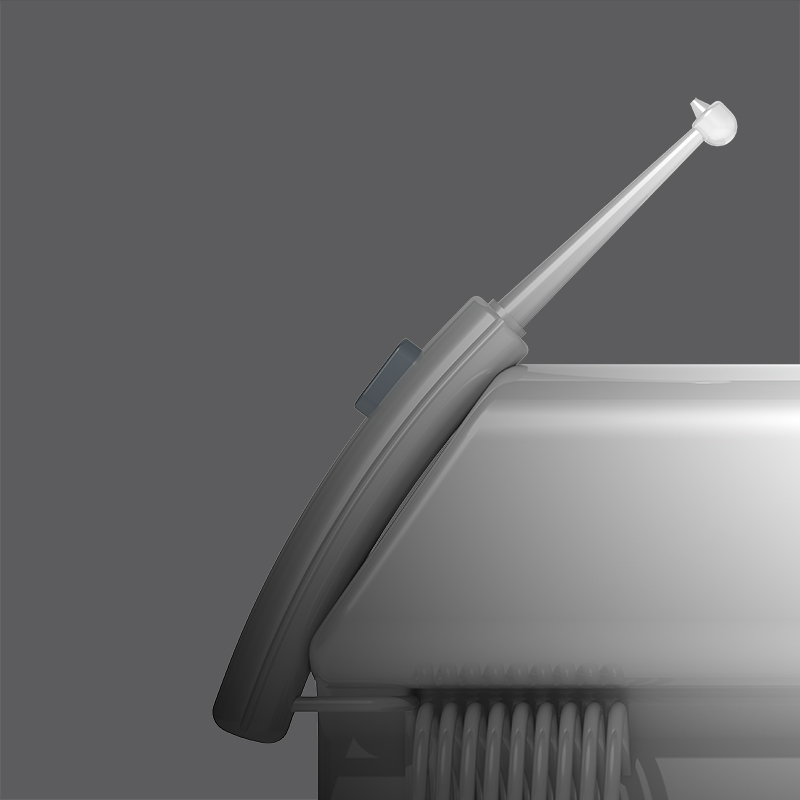 The water jet with ozone water is a valid help in the most common operations in the routing of any dental surgeon, such as root-planing, scaling, tartar removal and treatments for pyorrhoea. It is recommended to solve other oral health problems, such as hypersensitive tooth necks. Ozone therapy guarantees absolute sterility of the part treated, allowing to control the inflammatory level also in patients with more complex problems. Ozone treatment, in proper quantities as recommended by Aquolab, is completely painless and free of any side effects. 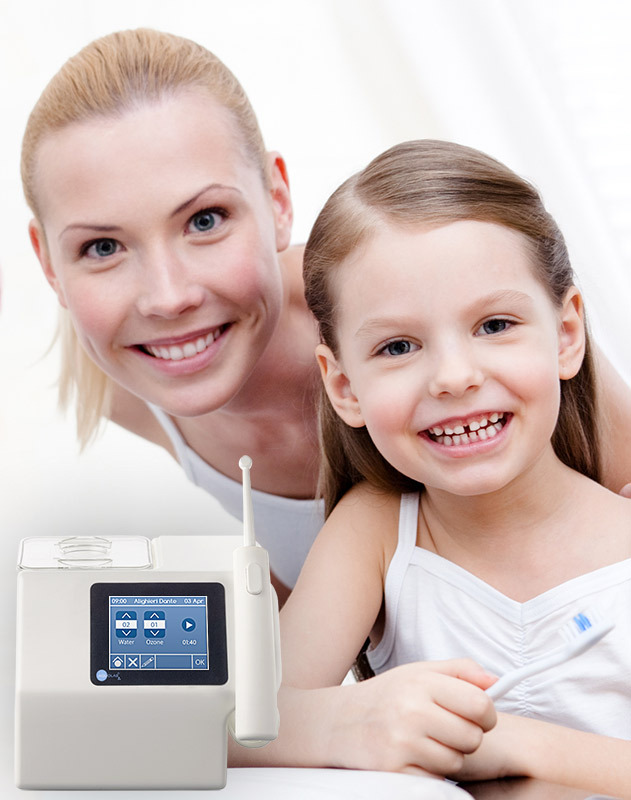 You can recommend Aquolab to your patients for daily treatment at home, children included, thanks to its soft, non-invasive pressure. A valid ally in the defence and prevention against the onset of the most common oral diseases. Aquolab water jets produce 50 mg/h of ozone at 20 °C and 70% HR with a capacity of approximately 12 lt/h (0.2 lt/min). This dosage is absolutely harmless to people, yet it is effective for its task. Ozone is produced by corona effect, which provides the greatest advantages and highest reliability. The ozone generator contains the element responsible for the corona effect which provides the capacitive load. Here ozone is produced from oxygen as a direct result of the electric discharge. This electric discharge breaks the stable molecule of oxygen into two oxygen radicals which, in turn, react with the oxygen molecules in the atmosphere to form ozone.